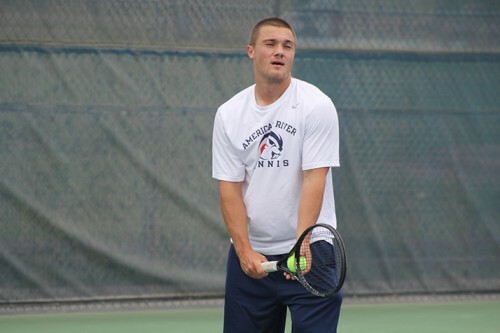 American River College’s men’s tennis team continued its dominant run by turning in two shutout performances over Solano College on Tuesday to improve their record to 9-0 on the season. The team played a doubleheader in order to make up for a game from Feb. 19 at Solano that was rained out and postponed. ARC played singles first for the doubleheader and were able to win 5-0 so that the result could be official, before moving on to the regularly scheduled game. Nothing was too out of the ordinary for the Beavers as they handled business on both the doubles and the singles front and were able to shutout the opposition. With only three games and a tournament left before the postseason starts, the team looks in good position to make a deep run this April. Head coach Bo Jabery-Madison was grateful the the rain stayed away until the end of the day so that both matches could be completed. “It was really good to squeeze in both matches with Solano in one go and I thought the guys did a good job of being professional about it,” Jabery-Madison said. Freshman Sean McDaniel, who dropped only one game across two singles and one doubles match, said that the team is performing well, and that wins will keep coming as long as they stick to the plan. Freshman Kadyn Silva, who also played in a singles and doubles match, said that while winning is good now, they can’t let themselves get too cocky. “It’s still early in the season so we can’t get too excited because the teams that we face now are going to be nothing compared to the teams we face in the playoffs,” Silva said. Jabery-Madison also agreed that the quality of the opponent should not dictate their effort or intensity. 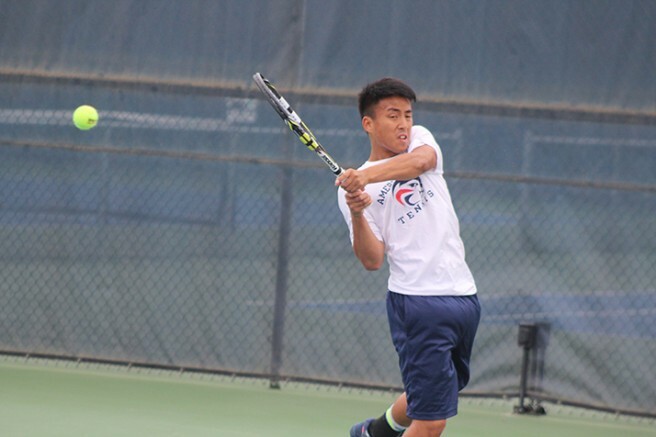 Freshman Cody Duong, who played in arguably the longest game of the day by being pushed to a 6-0, 7-5 victory, said that winning isn’t everything and that he’s trying to enjoy playing. ARC’s next game is Friday at Shasta College. Be the first to comment on "Men’s Tennis continues dominance with doubleheader win over Solano"